Fantastic apartment on the top floor of a building. Enjoy the exclusivity of the apartment set in a quiet area, surrounded by gardens and terraces for children to play. 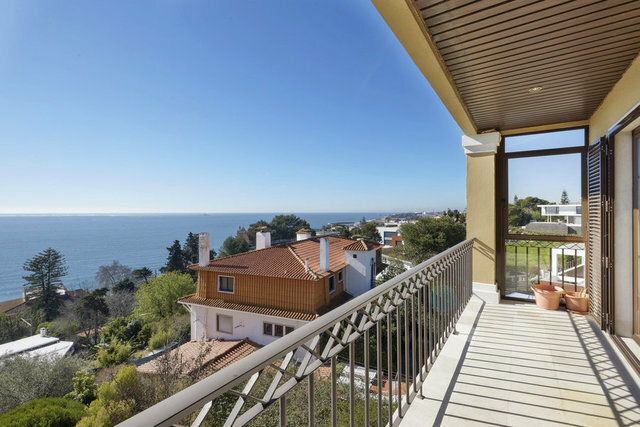 Apartment T4 in one of the best locations of the line of cascais. 15 minutes from the center of Lisbon and 20 from the center of Cascais. Close to beaches, 5 minutes from the center of the village of Paço de Arcos where you have access to the train station, pharmacies, cafes and the best restaurants. The apartment has 4 bedrooms, two of them en suite and two more bedrooms with a full bathroom to support these. A wonderful room with lots of light that gives access to the balcony where one can enjoy the stunning view over the river. Parking for 2 cars and more a place for housekeeping.